The leaders of the robbery gang that struck banks in Offa, Kwara State on April 5 have been reported to be making startling confessions. The robbery led to the death of more than 30 persons, including policemen and loss of millions of Naira. As families of victims are mourning their loved ones killed in the operation, the robbery gang leaders are making mind boggling confessions. At least 22 suspects in connection with the bank robbery, including the ring leaders, are currently detained for investigations. 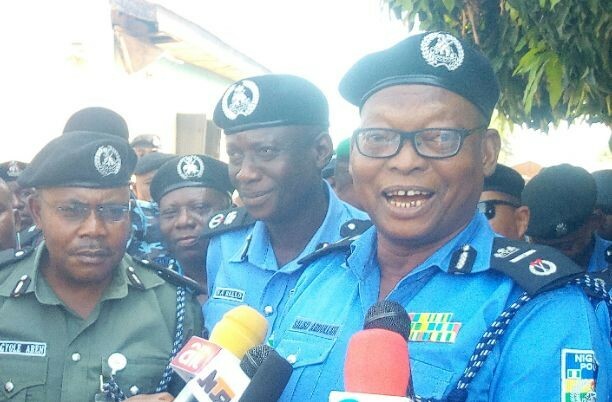 According to a reliable source, a dismissed Corporal in the Nigeria Police, Mr. Micheal Adikwu, led the operation. He was assisted by another leader, Mr. Kunle Ogunleye a.k.a Arrow, and one Abel and others. They have confessed to the operatives of the Inspector-General of Police Special Intelligence and Response Team (IRT), led by Deputy Commissioner of Police, Mr Abba Kyari. Adikwu, the dismissed corporal, who organised and led the bank robbery operation has confessed to have killed over 20 people, majority of them policemen. “Adikwu was formerly working with the Kwara State Police Command, SARS unit, before he was dismissed for allowing suspected armed robbers detained, to escape. Since then, he had been embittered and vowed to deal with policemen. He is reported to have vowed that he would continue to kill policemen because of his dismissal from the force and sending him to prison for release robbery suspects. A member of the gang, Kunle Ogunleye aka Arrow, also confessed to have killed two persons. Another member of the gang, Abel, confessed to have killed five persons. “They also confessed to have gone to Offa three times on surveillance mission. “The police station and banks were carefully studied. Adikwu led the first team to enter the police station, while others stayed outside.“ He confessed he led the three gang members into the station. The four of them walked into the station like they came to lodge a complaint. They concealed their rifles in their clothes and immediately they entered the police station premises, Adikwu opened fire and killed the station guard.“He confessed killing nine people in the police station and carried their rifles.“They confessed to have taken Tramadol and other drugs before embarking on the operation. They killed over 30 people on that day.